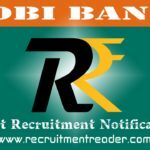 Latest India Post Recruitment Notification 2019 – Department of Post invites application from student doing graduate and post graduate course in India for Internship programme. The Internship duration is one month. Candidates who are willing to do Internship with Department of Posts may forward their application through proper channel in prescribed format. Application format is available in India Post website. The Last date to submit the application is 28.04.2019. Internship is available in the following domains/ areas, Insurance/ Actuaries · Philately · Fund Management/ Finance · Retail Management · eCommerce/ Courier, Express and Parcel (CEP) · Parcel/ Logistics & supply Chain · Asset management · Marketing/ Publicity and Branding · Banking & Financial Inclusion · HR Management · Network & Technology and Software Security · Legal and Legislative mechanism. Indian Students with 60% of marks. Look into India Post advertisement for more details of eligibility. Download the application format from India Post website. Send the completely filled application with required documents to the address, Deputy General Manager, BD & M Directorate, Dak Bhawan, Sansad Marg, New Delhi – 110001 as well as forward the same to email addresses gmspeedpost@indiapost.gov.in. Logon to India Post website and then find notification for Internship. Fill up the application and attach required documents. 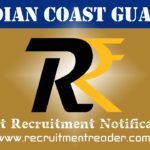 Find upcoming India Post recruitment notifications @ Recruitment Reader. For more details regarding India Post Recruitment Notification 2019 logon to www.indiapost.gov.in. The information given above is based on the Department of Post official advertisement. Latest India Post Recruitment Notification 2019 – India Post (Department of Post) published notification for the recruitment of Deputy Manager, Assistant Manager and Technical Supervisor on deputation basis in Centre for Excellence in Postal Technology (CEPT). 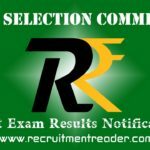 CEPT Bangalore announced 13 vacancies for these posts. Candidates who have eligibility as per CEPT Bengaluru notification may forward their application in prescribed format. The Application format can be downloaded form India Post website. The Last date to submit the application form is 45 days after the publication of this advertisement in employment news. Bachelor Degree with Computer Science. Look into India Post advertisement for more details of qualification. Download the application format from India Post website. Send the completely filled application form with required documents to General Manager, Department of Posts, Centre for Excellence in Postal Technology, Mysore – 570010. Logon to India Post website and then locate Opportunities. In Opportunities, find notification for CEPT Bengaluru dated on Jan 28. For more details regarding India Post Recruitment Notification 2019 logon to www.indiapost.gov.in. The information given above is based on the India Post official advertisement. 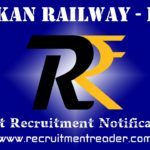 Latest India Post Recruitment Notification 2019 – India Post (Department of Post) published notification for the recruitment of Staff Car Driver in Mail Motor Service (MMS) Nagpur. MMS Nagpur announced 03 vacancies for driver post. Candidates who have eligibility as per India Post notification may forward their application in prescribed format. The Application format can be downloaded from India Post website. The Last date to submit the application form to Nagpur Mail Motor Service is within 60 days from the date of publication of this advertisement in employment news. 10th standard from a recognized institute. Download the application format from India Post website. Send the completely filled application form with required documents to Manager, Mail Motor Service, GPO Compound, Civil Lines, Nagpur – 440001. In Opportunities, find notification for Staff Car Driver (MMS Nagpur) dated on Feb 06. Latest India Post Recruitment Notification 2019 – India Post (Department of Post) published notification for the recruitment of Staff Car Driver in Mail Motor Service (MMS) Bhopal. 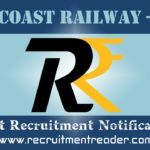 MMS Bhopal announced 03 vacancies for driver post. Candidates who have eligibility as per India Post notification may forward their application in prescribed format. The Application format is available in India Post website. The Last date to submit the application form to Bhopal Mail Motor Service is 60 days after the publication of this advertisement in employment news. Download the application format from India Post website. Send the completely filled application form with required documents to The Manager, Mail Motor Service, Bhopal – 462001 by Speed Post or Registered Post. In Opportunities, find notification for Driver Recruitment – MMS Bhopal dated on Jan 28. India Post (Department of Post) published notification for the recruitment of Meritorious Sports Persons (Volley Ball Players) in Postal Assistant Cadre. Uttarakhand Postal Circle announced 02 vacancies in Almora and Pithoragarh divisions. Candidates who have eligibility as per India Post Notification may apply for the Uttarakhand Postal Circle recruitment through proper channel in prescribed format. The Application format can be downloaded form India Post website. The Last date to submit the application form is 18.02.2019. 10+2 class or equivalent examination from a recognized institute. Look into India Post notification for more details of educational qualification and sports qualification. Download the application format from India Post website. Send the completely filled application to The Chief Postmaster General, Uttarakhand Circle, Dehradun – 248001 through speed post/ registered post only. In Opportunities, find notification for recruitment of Volley Ball Players.